The kiwi dollar is down between 0.20%-0.70% overnight against G10 currencies ahead of the latest inflation data. Today in Asia we will see New Zealand Q4 CPI (10.45am, NZT). Markets look for 0.0% for the December quarter but annual inflation likely to stay at 1.9%. Due to the recent plunge in crude oil likely to pressure the headline number. 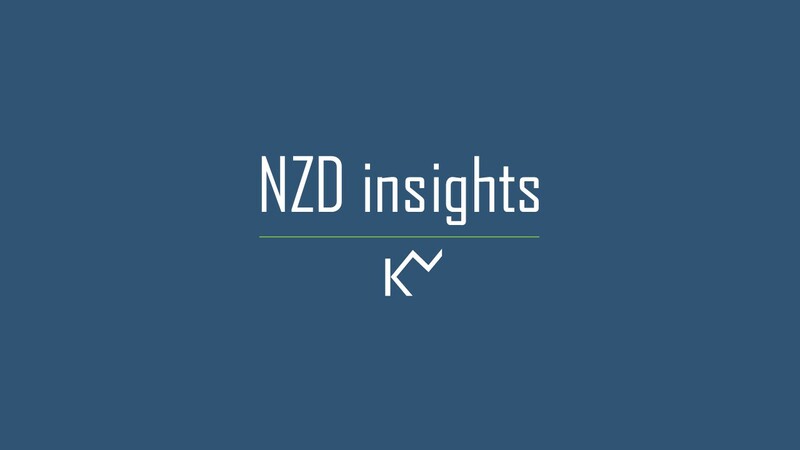 Any hard number likely to pressure the kiwi dollar. NZDUSD: The cross is down for a seventh straight session, lost all the daily moving averages except 100MA. The run lasted for eight consecutive sessions in April 2018. Ahead of the CPI data support finds at 0.6700 and 0.6670 May 2018 low. Below here focus shifts to 0.6630. Flipside resistance seems to be at 0.6740. Note that only a break above this barrier would lessen the risk of a breakdown below 0.6700, paying the way for a squeeze to 0.6770 and 0.6800. 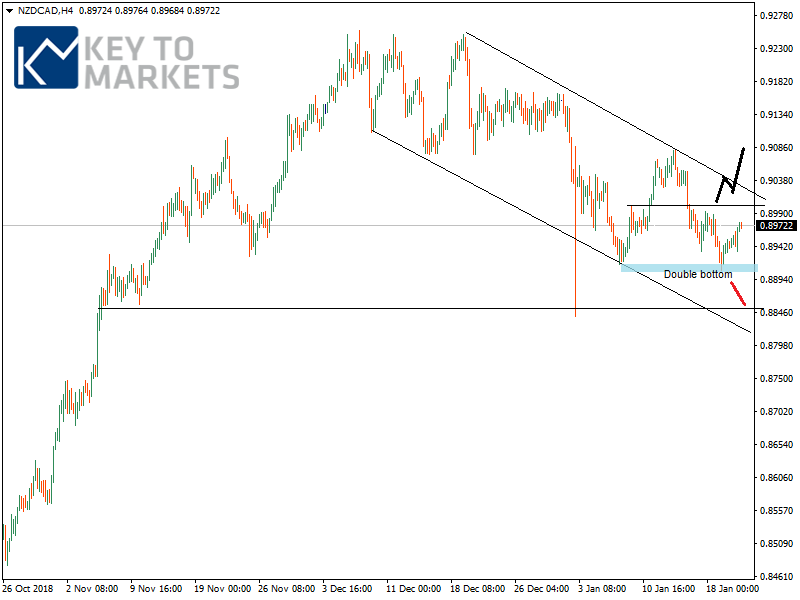 NZDCAD: As long as 0.8915/0.8900 (double bottom) is support look for 0.9000. Real strength ONLY available above 0.9000 for further up move to 0.9030 and 0.9080. Flipside fails to hold the double bottom at 0.8900; the focus turns to 0.8860/0.8840. Support located at 0.8935 and 0.8915/0.8900. GBPNZD: Pauses the overnight rally at 1.9300 its 200MA. Any weak number is likely to push further higher towards 1.9340/1.9350. Flipside support finds at 1.9250 and 1.9185. The daily RSI is increasingly overbought. 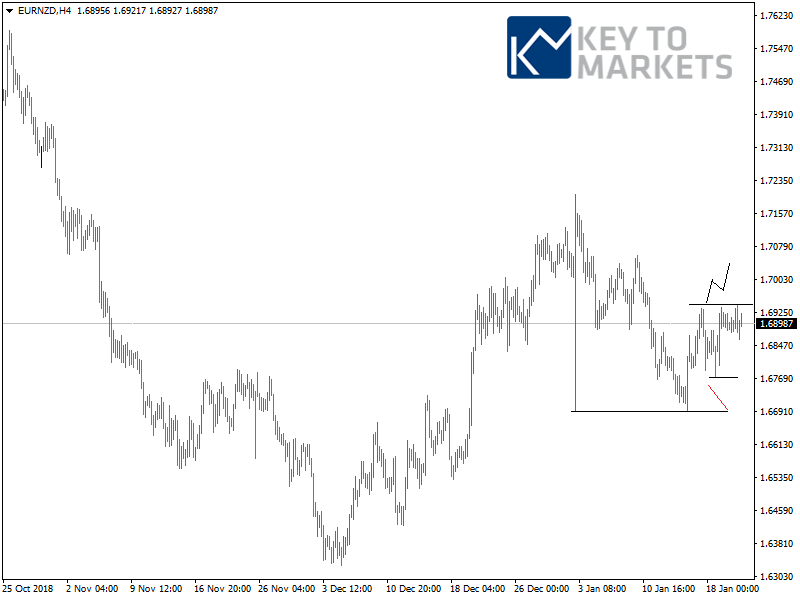 EURNZD: Traced out a near-term price top near 1.6940 via the formation of a double top pattern. Support finds at 1.6860 below here focus shifts to 1.6800/1.6775. Note that a break through the double top could squeeze to 1.6970 and 1.7000/1.7020. 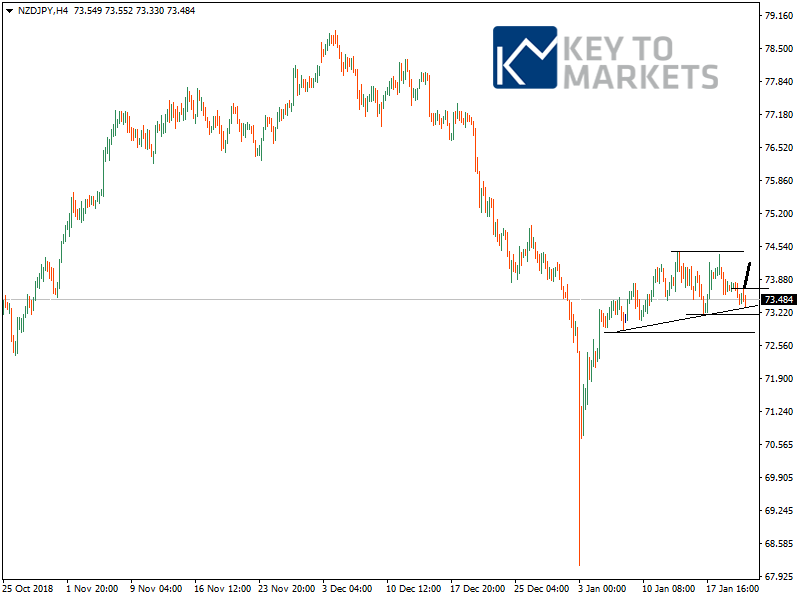 NZDJPY: Likewise EURNZD, the cross raced out a near-top at 74.40 and retraced to the support zone finds at 73.20/73.00 below here 72.80 exists. Flipside resistance seems to be at 73.70. Note that only a break above this barrier would lessen the risk of a further breakdown to 72.30.